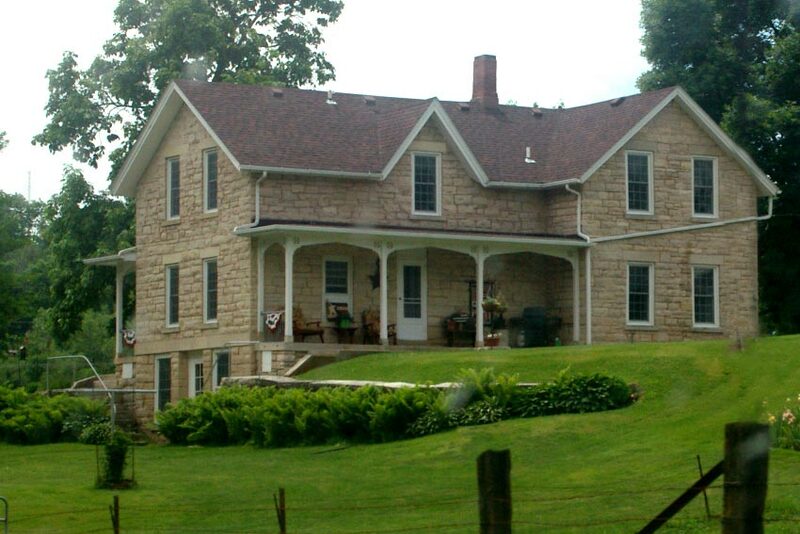 The Henry Dearborn House was the “first” of the houses built by the “big three” operators of the Stone City quarries. It was constructed in two stages; the first in 1861 and an addition in 1863. The original house faced west, overlooking the Dearborn quarry. The second section fronted by the porch changed the setting to a southern exposure. It has nine rooms and a basement that also served as the first village post office in 1873. It is presently occupied by descendants of the original family.